Working on PURPOSE. What is Your “It’s a Wonderful Life” Effect? Purpose. I will admit that even 14 years into a successful career, I still find myself spending a lot of time reflecting on “what I want to be when I grow up”. It is not that I am unhappy or even dissatisfied. It is just that I sometimes am overcome by a nagging feeling that something is missing… that there is more that I could be and should be doing. Now, I’m not saying that I need to quit my job and enroll in the coast guard, start an orphanage, or join the circus. All of these may be worthwhile endeavors (although I have no concept of what my circus act might be), but I don’t necessarily need to do something that drastic. What I am saying is that I want to be more deliberate going forward with how I take the talents, interests, and experiences that I possess and invest them into the world around me. While that could of course require a significant career change, it could also mean optimizing my time in my current career, or supplementing my “day job” with activities where I can utilize my interests. For example, I have had a strong desire to write a book for as long as I can remember, but have never been able to find (i.e. make) the time for this commitment. While I can’t commit to quitting my job and fully investing in this endeavor (bills to pay, mouths to feed, etc. ), I can invest at least some time in pursuing the interest… and that, in fact, is how this blog was born. 1) To know where you’re going, you have to know where you’ve been. While I am a big proponent of living in the moment and aiming for the future, I believe it is critical to reflect on and to extract insights from our past. This is not about “those who ignore their history are doomed to repeat it”, but rather about understanding the experiences, talents, and successes of the past so that you deliberately can repeat it. What are the times in your life that made you the most proud? What talents do you enjoy and have invested your time in growing and nurturing? What experiences have had a profound impact on your life and how can you share those with others? What “daydreams” have you consistently had over time that have not yet been brought to reality? Take some time to map out the areas of life that have truly made you proud, inspired, and successful and compare that with where you are today. What elements of the past have you let fade away and how can you bring those back into your present and future? 2) Understand your “It’s a Wonderful Life” Effect. First, if you haven’t seen the movie, “It’s a Wonderful Life”, you should stop reading and go watch this film. Without getting into all the details, the premise centers around a desperate man, George Bailey, who is at the end of his rope. He has reached a crossroads in life where he feels as if he has failed to live up to his potential and that his future is hopeless. George is actually contemplating taking his own life, when he is visited by his “guardian angel” who gives him an amazing gift… the gift to see how the world would be different had he never been born. All the lives that he would not have changed, the fortunes that he would not have improved, and the happiness that he would not have created. 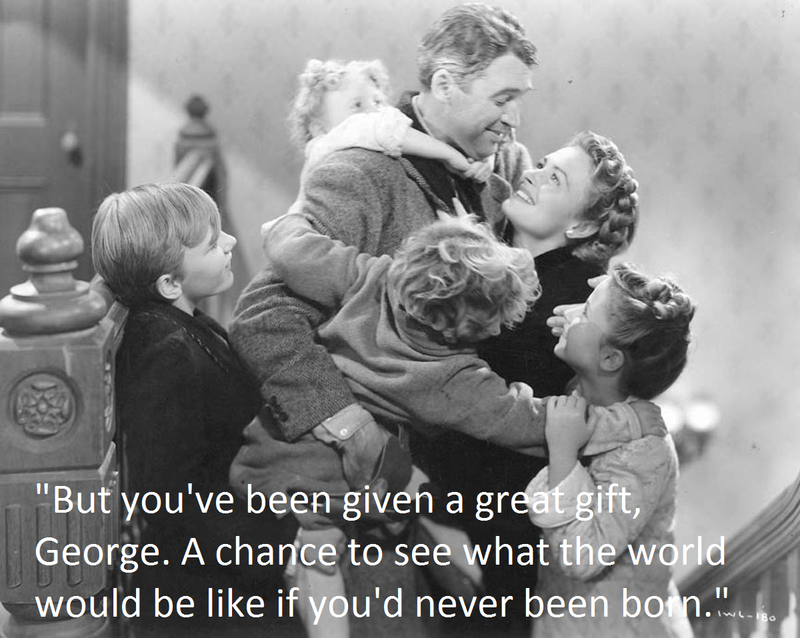 In essence, George Bailey was able to see the unique impact that he alone had brought to the world and gained a new understanding of his purpose in life. As you look back on your life and on your career, don’t just look at your “results” from your participation- think about how different the world would be had you uniquely not been a part of it. What value to the projects, organizations, and individuals did you add that exclusively exist because of your presence? 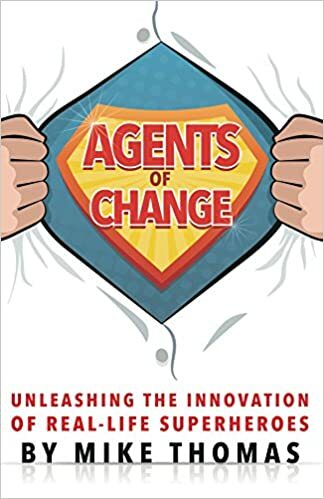 And even more importantly, as you look forward, what are the areas in which you can make a unique contribution and disproportionately put your energy toward as opposed to places that largely would be the same if someone else did them. What has your “It’s a Wonderful Life” Effect been so far, and how do you want that script to read in the future? 3) Be hot or be cold… don’t be lukewarm. One of my favorite biblical verses essentially says to not waste time with mediocrity- Either be “all in” or “all out”, but don’t just meander through life in the middle. As you go to work every day, do you feel inspired or do you feel like you are settling? Do you feel like you are growing or are you coasting? Are you making a difference or simply making do? Now, this is not to say that every minute of every day should be awe-inspiring… it is still work. And on a day-to-day basis there will still, for most of us, be some less than thrilling responsibilities to which we must attend. But in the big picture, are you excited about the “mission” that you are pursuing or are you just surviving from paycheck to paycheck? In the moment, it is easy to be tempted by comfort, safety, and security. To quote C.S. Lewis from the Screwtape Letters, “Indeed the safest road to hell is the gradual one — the gentle slope, soft underfoot, without sudden turnings, without milestones, without signposts.” Figure out what amazing purpose that you have been designed uniquely to do and pursue it. Get in the game, or find a new game- don’t get to the end regretting spending all your time on the sidelines wondering “what might have been”. 4) What intentions currently are keeping you from your purpose? This sounds simple enough… so what might be stopping you from working against your purpose? Ask yourself these questions: 1) If money were no object, what would you do? 2) If status were no object, what would you do? 3) If your perceived expectations of the significant others in your life (parents, spouse, siblings, friends) were no object, what would you do? It happens far too often in life that we make choices to do what we deem is responsible or is expected of us and neglect the choices that might truly make us happy. To be fair, often there are real and significant obstacles that exist once you have started down life’s path… such as financial obligations, dependent relationships, and security. However, sometimes we make these obstacles bigger than they really are. Is the “extra” money that you make actually buying happiness or merely buying “stuff”? Are the evenings you invest in striving for a future promotion worth sacrificing your hobbies and interests in the present? Does all of the time and effort preparing for an eventual retirement cause you to miss out on enjoying life today? At the end of the day, how you invest your time is a choice- if you don’t feel like you are truly living your purpose today, what are the choices you can make tomorrow to take even a small step in the right direction? 5) Look for open doors and walk through them. Opportunity knocks more often than we realize. If you look back on the major milestones of your life and career, how many of them had an element of serendipity about them? For example, during the spring of my junior year of college I was looking forward to a summer on campus doing research and teaching chemistry classes (not to mention all the other perks of living on a college campus). I happened to get invited to a lunch with a member of the Board of Trustees who wanted to meet some students studying science and engineering. I honestly put little thought into the meeting and was not overly excited in going… but I was in college and, hey, “free lunch”. I ended up sitting next to the Board Member, had a great conversation, and ultimately gave him a resume. Two months later, I was an intern at the company in which he was the Chief Technology Officer and 14 years later I remain there today. What are the “free lunches” you pass up because you are too busy or too focused on the crisis of the day? A professor in business school once advised that at least once a year we all should do an extensive career search just to see if a perfect job is out there. Best case, you find your dream job and live happily ever after. Worst case, you realize that where you are today is actually the best place for you. Opportunity knocks often, but will only meet you if you are willing to open the door. Some of you may be in a place already where your work and your purpose are already one in the same- that is truly an amazing place to be and I would love to hear some examples of how you got there. For others, you may be looking for subtle or even drastic changes to more deliberately pursue your passions and interests to make a broader impact on the world around you. This is a call to reflect on what that purpose might be and to make active choices to pursue it, even if just with one small first step. Don’t choose a path for your career and your life by chance or by accident… choose it on purpose. Previous Don’t CAPTURE the Moment. EXPERIENCE it. Next How does LUCK play into successful INNOVATION?